Wedding Day Fun, a photo by ltbeyer on Flickr. Darker bouquets in fall colors. 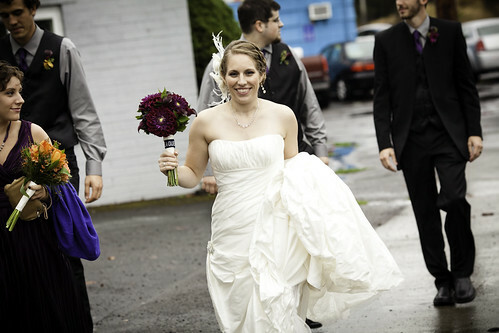 ( I think those are dahlias in the bride's bouquet). braided hair, I also recommend umbrellas! it looks wet!